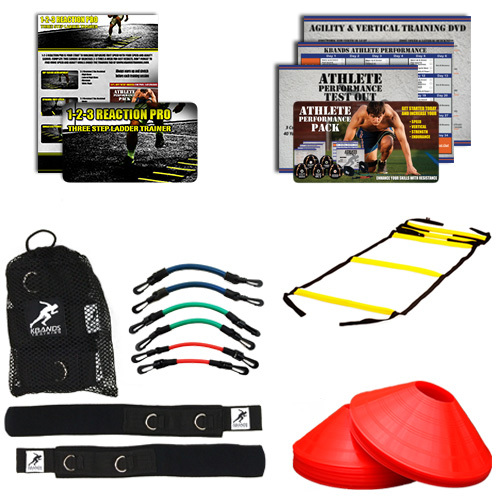 Football players will take their game to a higher level with the Kbands Football Pro Kit. With every training session football players will increase speed, side-to-side agility and explosive acceleration and deceleration. Within 5 weeks each athlete will find decreases in 40's, 3 Cone Drill and Pro Agility times. In addition to the 5 week training program each football player will receive a bonus training program. (1-2-3 Reaction Pro) With this ladder sequence football players will improve foot speed for more effective game like cuts. Download this video series and begin training today. Kbands + Advanced Blue Bands will help football players increase speed and explosiveness with every resisted exercise.